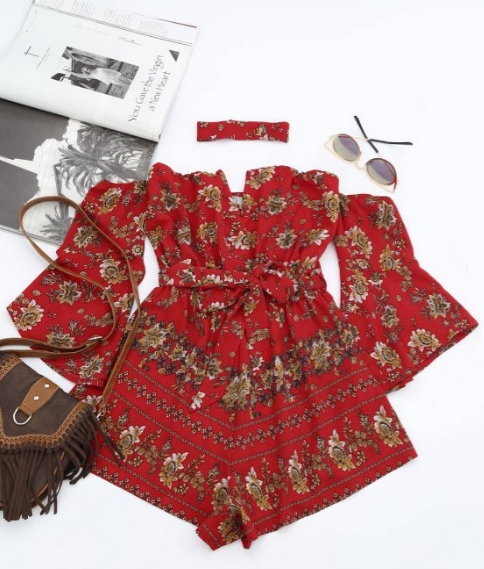 Play-suits/Rompers are so on trend at the moment and I love them! This one is perfect for summer 2017 with off the shoulder sleeves and a neck band....anyone else obsessed with this trend? Every top I currently wear is off the shoulder I find it so flattering. This play-suit is also perfect for anyone looking to draw in their waist, with a tie to draw you in and break up the outfit. Flares are also a massive must have this season and the flared sleeves on this romper make it right on style. 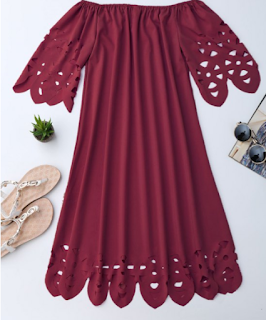 You could easily dress this up with a gold choker, earrings and heals,or casual it up with a pair of sandals, a material choker and sunnies. Zaful have kindly given my readers a 10% discount, so if you fancy styling this piece use the code below! If you do get this piece please send me a pick to show me how you style it I love to see everyone's individual styles. I'm thinking I may wear this to my cousins wedding party next month! For my second choice, I have picked this gorgeous off the shoulder dress. This is definitely the simplest of the three items I've picked out but its still so in style. This is the perfect dress for a sunny day, layered over your fave bikini with a pair of bright sandals and sunnies. dressed like this are the perfect canvas to pair with bright pattered accessories, and I'd definitely recommend a bright belt round the waist to draw you in at the middle. The sleeves are again flared and I love the simple cut out design! My third piece is a maxi dress, this meets so many trends in one piece, what more could you want. Not only is it off the shoulder but floral are also big in this summer. Due to being a large floral print, you can so easily accessories this piece with very simple jewellery. I love layered necklaces with an off the shoulder neckline, and lots of rings. You could pair this piece easily with a pair of burgundy or fawn strappy sandals, or take it into the evening with a pair of heals and an arm cuff. I'd love to know what you think of the pieces in this post, send me any pics if you style any of the above! Also contact me if you have any requests for trends to be covered in another WTF Friday post! Hope you have an amazing Friday! Emily Isobelle Jane. Food Photographer, Digital Marketer & Blogger. 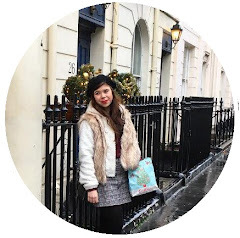 Sharing my organisation, tips, tricks and planning advise, to join a community of millennial entrepreneurs. 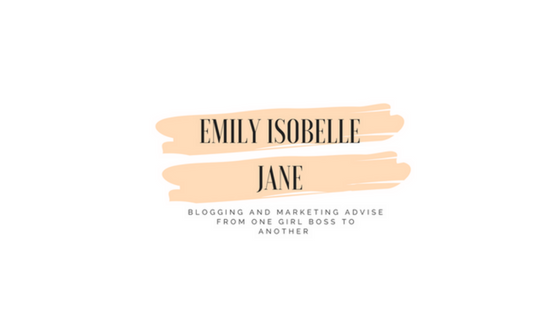 For any collaborations Email isobellejaneblog@gmail.com. © Isobelle Jane. All rights reserved.